Apple is going to discontinue the iPhone X production once it introduces its 2018 iPhone lineup which is expected to be launched in the second half of 2018. 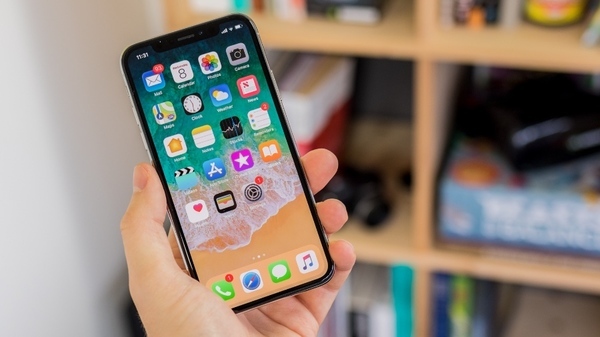 According to KGI security analyst Ming Chi-Kuo, Apple's next-generation iPhone lineup will feature two brand new devices with edgeless display; one will have a 6.5-inch OLED display and the other will have a 6.1-inch LCD display. Meanwhile, the current iPhone X 5.8-inch display would be continued. Kuo released another report, following up with his initial research so as to shade more light on Apple's strategy. In the report, Kuo explained that if Apple were to reduce the current price of the iPhone X to $899, the move would negatively affect the sales of the mid-range iPhone with 6.1-inch with Face ID and an LCD display which he expects to be sold between $650 and $750 in the US. "iPhone X would hurt production brand value & lineup of 2H18 new model if it continues to sell at a lower price after 2H18 new models launch. LoweringiPhone X's price after the 2H18 new models launch would be a negative to product brand value given 3D sensing and OLED display are features of the new light-price model. Additionally, to sell iPhone X at a lower price may have a negative impact on shipments of the new 6.1" LCS iPhones 2H2018. Thus, we estimate iPhone X will reach end-of-life (EOL) around the middle of 2018," MacRumours quoted an excerpt from Kuo's release. Based on the excerpt, the next-generation iPhone X would be released alongside the 6.5-inch model, which presumably would be the iPhone X Plus. Adding to that, the iPhone SE2 is also expected to be released this year in July. Apple users should have variety of option to choose from Apple's different phone models with variety of prices. However, this move by Apple ermm ... presumed move by Apple to kill the iPhone X line, have met huge tongue lash from Apple fans who were counting on the price drop of the iPhone X. The iPhone X would be the first iPhone not to be made available at a cheaper price following the release of a next-generation model.